Here's Cheryl Cole's new music video for "3 Words", which features will.i.am. Janet Jackson and Lady GaGa will perform on The X Factor next month. The 'Make Me' singer is to mark her only UK television performance of 2009 with the appearance, following the release of her latest compilation The Best. GaGa will sing new single 'Bad Romance' for the first time ever on UK TV. The track is currently at number eight in the singles chart. Last weekend's live performances from Mariah Carey and Susan Boyle drew 14.3 million viewers. GaGa and Jackson's X Factor appearance will air on Sunday, December 6 on ITV1. Here's the official single cover for Esmee Denter's new single "Admit It". 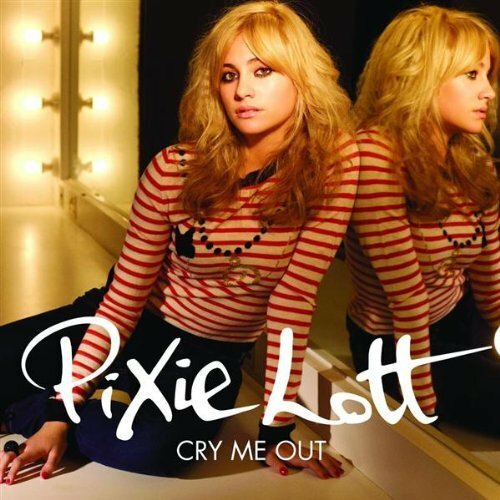 Here's Pixie Lott's single cover for "Cry Me Out" - I love the song and the cover is cool. Here's the official single cover for Jennife Lopez's new single "Louboutins". It's sooo beautiful! Here's Leighton Meester singing her new single "Somebody To Love" on The Alexa Chung show -- checkkk it out! Here's the official music video for Janet Jackson's new single "Make Me". It's fantastic - she's baaack! Here's Allison Iraheta's debut music video for her single "Friday I'll Be Over U". Check it out - it's fab! Like I promised, here is the official music video for Beyoncé and Lady GaGa's duet - "Video Phone". Check it out! Check out this EXCLUSIVE sneak peak of the upcoming video for "Video Phone", by Beyoncé and Lady GaGa. The full video is expected to premiere tomorrow morning... so watch out for it! H.A.T.E.U. is Mariah Carey's new single, and in promotion for the 3rd track to be lifted from her "Memoirs Of An Imperfect Angel" album, the Superstar performed the track on David Letterman at the weekend. Check it out! This song is one of my favourites at the moment, what are you thoughts? Here's Leighton Meester's photoshoot with GQ magazine.... she looks incredible. Peep this live performance of "Did It Again" by Shakira. The latin superstar performed her latest single on last night's X Factor, and did a great job! Loved the ending with the drums, what do you guys think? Check out this exclusive interview with Ke$ha where the singer talks about her upcoming album "Animal". It's a great watch - I love Ke$ha and can't wait for the album, which is currently scheduled to be released in January. Here's Shakira's new music video for "Give It Up To Me", which features Lil' Wayne, and will be her next single in the U.S. Here's Demi Lovato's new music video for latest single "Remember December". Here's an interview by Wendy Williams with Chris Brown speaking about his career and his situation with our girl RiRi! Also in this video, Chris premiere's his new video for upcoming single "Crawl". The song and video is really good and worth checking out! Check out this video documenting Rihanna's photoshoot for the album artwork for upcomng 4th LP "Rated R". Looks set to be an amazing booklet! She looks stunning, and "Rated R" drops 23rd November. It's here! It's GaGa's new video for "Bad Romance". The video is incredible, her best yet and definately the best of 2009. 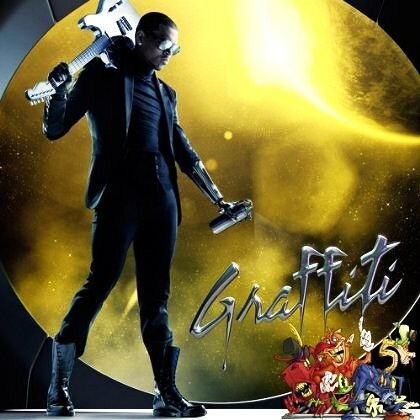 This is the official cover for the deluxe edition of Chris Brown's "Graffiti" album. This, his 3rd alubm, will be released in December featuring the singles "I Can Transform Ya" and "Crawl". 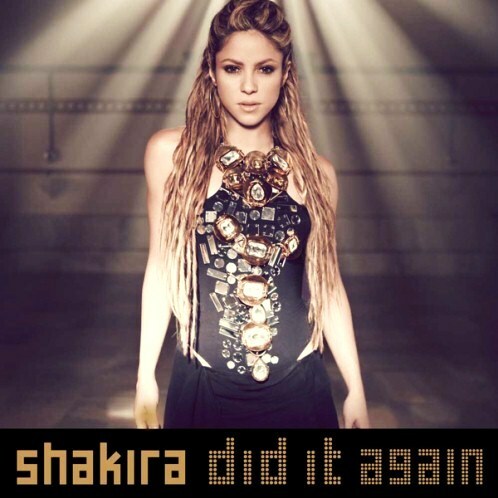 Cover for Shakira's new single "Did It Again". HOT! Here's a 30 second clip of Lady GaGa's brand new video for "Bad Romance", shown on German show Wetten Dass. Looks amazing <3! Here's Lady GaGa being interviewed by Alexa Chung on her own show... It's On With Alexa Chung! It's a great interview, where GaGa speaks about the upcoming video for "Bad Romance" and the album "The Fame Monster". Here's Robbie William's new music video for "You Know Me", released in December in the UK. Check it out! Katy rocked it! Here's the official video from Rihanna for her promo single "Wait Your Turn". The track is promoting her upcoming 4th album "Rated R". Here's Shakira's new video for latest single "Did It Again". Check it out! Lady GaGa plans "Egg" show. Lady GaGa has said that she will open her forthcoming 'Monster Ball' concerts by hatching out of an egg. The 'Bad Romance' star claimed that she is planning to symbolically chart the "evolution" of her career throughout the stage production. "I actually hatch out of an egg in the show," Angry Ape quotes her as saying. "That's the beginning of the show. It's kind of the beginning of evolution. I begin as a cell. The show is based on this theme of evolution, which has a lot to do with how I've changed over the years, and in a symbolic way of describing myself as a person, as GaGa. Cheryl Cole scores double #1s! Cheryl Cole has scored an impressive UK chart double this week. 'Fight For This Love' notches up a second week on top of the singles chart, while parent disc 3 Words sells 125, 271 copies to debut at number one on the albums chart. She becomes the third female artist to achieve the double this year - following Lily Allen in January and Lady GaGa in April - and the 12th in UK chart history. Sugababes have revealed that their 7th album "Sweet 7" will be pushed back, all the way to February 22nd 2010. Bad news in the Sugababes camp! "About A Girl" will be released in November as planned, and "Wait Your Turn" will precede "Sweet 7" in February.